The Stars of Magic. December is the most magical time of the year. 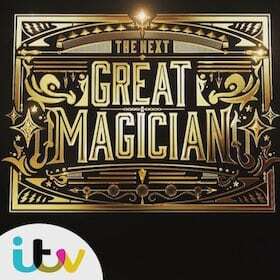 There’s nothing like a bit of magic for all the family to watch to warm the cockles. But where you ask? Good question. 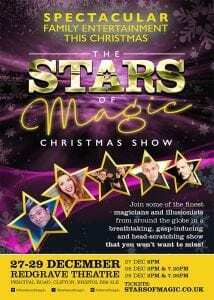 This December 27th – 29th I’ll be performing in Bristol at the Redgrave Theatre for the Stars of Magic show. It’s the type of show I’d go and watch if I wasn’t in it. 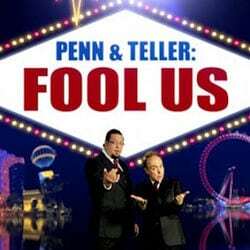 5 different acts from all around the world performing their own very different styles of magic. It’s the perfect post Christmas treat especially if you are a bit bored of the pantomimes or have older children. You don’t even need children – you do need to like magic though. If you don’t, it’s probably not for you. Young and Strange: Our grand illusionists and YouTube viral stars. One of their videos received ten million views in one weekend alone! Also, recently seen on The Next Great Magician. Alana: Enchanting, unique magic from Germany’s national champion. She presents the act that won her that title and that she has performed on television shows all over the world. Anson Lee: Taiwan’s master of sleight-of-hand card manipulation. Anson has swept the board with awards in Asia for his cutting-edge act. 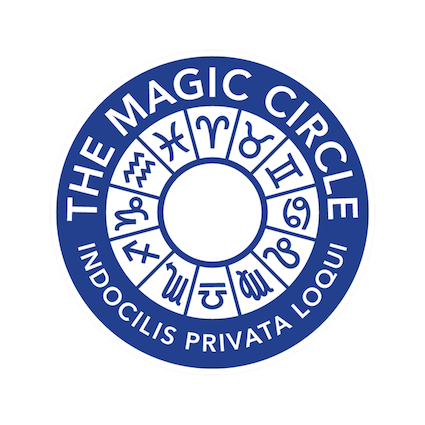 Rob James: The International Brotherhood of Magicians’ first prize winner for close-up magic 2015. Rob has amazed audiences everywhere from the Magic Castle in Hollywood to Disneyland in Paris. Tickets and website are here. It’s selling out fast so book now if you would like to come.